Almost two decades ago Ukraine began its practice of investor-state arbitration as a respondent state. From 1998 Ukraine has been a party to 18 concluded investor-state cases, including 11 ICSID cases. Out of these 18 concluded cases there have been three, so far, equal groups — 6 wins by Ukraine, 6 settled/discontinued cases and 6 cases in which Ukraine was found responsible for breach of its obligations under international treaties. Ukraine’s victories include 5 ICSID cases — Generation Ukraine, Inc. v. Ukraine ARB/00/9, Tokios Tokelės v. Ukraine ARB/02/18, Global Trading v. Ukraine ARB/09/11, GEA v. Ukraine ARB/08/16, Bosh International Inc. v. Ukraine ARB/08/11 and АМТО v. Ukraine ECT/SCC case. The settled/discontinued cases are — Lemire v. Ukraine ARB(AF)/98/1, Western NIS Enterprise Fund v. Ukraine ARB/04/2, Laskaridis v. Ukraine, Vanco v. Ukraine, Poltava Gas B.V. and Poltava Petroleum Company v. Ukraine, ARB/15/9 and Gilead Sciences v. Ukraine. The group of unfavorable for Ukraine awards has 3 ICSID cases — Lemire v. Ukraine ARB/06/18, Alpha Projektholding v. Ukraine ARB/07/16, Inmaris v. Ukraine ARB/08/8; as well as Remington v. Ukraine, ECT/SCC case, Tatneft v. Ukraine,UNCITRAL/PCA caseand JKX Oil & Gas v. Ukraine,ECT/SCC case. Historically, three periods of investor-state arbitrations against Ukraine can be distinguished. The first wave of 5 early cases (1998-2008) was the most successful for Ukraine as it obtained 3 wins1 and 2 settlements2 without monetary compensation from the respondent state. Notably, at that decade Ukraine was represented by exclusively Ukrainian legal counsel (Grischenko & Partners and Proxen & Partners). It would be fair to say that, with few exceptions, claimants in these cases were represented by rather small or medium-size non-Ukrainian law firms. The second wave of 10 claims (2008-2014) resulted in 3 wins by Ukraine3, 2 settlements4 and 5 unfavourable awards5. Both international and Ukrainian law firms acted as leading counsel for Ukraine during this period. Claimants were represented by international law firms. The third period of this chronology began in 2014, after three years (2011-2013) without new investment claims against Ukraine and is still running. According to open sources, at least 11 new investor-state claims against Ukraine have been filed during this period. In ICSID alone there are 4 Ukraine cases pending now: City-State N.V., Praktyka Asset Management Company LLC, Crystal-Invest LLC and Prodiz LLC v. Ukraine ARB/14/9; Krederi Ltd. v. Ukraine ARB/14/17; Gilward Investments B.V. v. Ukraine ARB/15/33 and Emergofin B.V. and Velbay Holdings Ltd. v. Ukraine ARB/16/35. Also, 2 ECT/SCC cases have been reported over this period, namely JKX Oil & Gas v. Ukraine (award rendered in 2017) and Littop Enterprises Limited, Bridgemont Ventures Limited and Bordo Management Limited v. Ukraine, which is pending. In 2016 the Ministry of Land and Property of the Republic of Tatarstan (in Russia) filed a claim against Ukraine6. The proceedings in Misen Energy AB v. Ukraine7 and I. Boyko v. Ukraine8 seem to be at their initial stages. At least 2 cases were settled/discontinued in 2015 and 2017 (see below). It may be too early to summarise the outcome of the third period, which is somewhere in the middle now, and the major awards are still ahead. Only the first results are known so far. It was reported that the Paris Court of Appeal upheld the arbitration award in Tatneft v. Ukraine in November 20169, but Ukraine is still trying to set aside the award in the higher court. During the period of the annulment proceedings in a French court the sum of USD 112 million that was originally awarded rose by USD 32 million in interest, and now Tatneft seeks to enforce USD 144 million. It is interesting to note that in June 2017 the Arbitrazh Court of the city of Moscow terminated the proceedings for enforcement of the arbitral award in this case10. Tatneft is now trying to enforce the arbitral award also in other countries, including the U.S. The pending claim of Tatarstan against Ukraine presumably is based on the similar facts and allegations as the Tatneft case. In 2017 it was announced that Ukraine was found guilty in JKX Oil & Gas plc, Poltava Gas B.V. and Poltava Petroleum Company JV v. Ukraine, however, the claimed amount was substantially reduced. Although the 2017 award in this ECT/SCC case has not been published, it was reported that only USD 11.7 million were awarded out of the USD 180 million claim to reimburse rental fees paid on oil and gas produced in Ukraine11. It is interesting to note that enforcement of the 2015 emergency arbitrator award in this case, which ordered Ukraine to refrain from imposing increased rental fees, was ultimately dismissed by Ukrainian courts. In 2015 the Poltava Gas B.V. and Poltava Petroleum Company v. Ukraine, ICSID Case No. ARB/15/9 was rather quickly discontinued pursuant to ICSID Arbitration Rule 43(1). Judging from the names of the claimants, this case was somehow related to the JKX Oil & Gas case. In 2017 the Ministry of Justice of Ukraine announced a settlement in the Gilead Sciences v. Ukraine case. The Ministry of Justice described this dispute as an USD 800 million dispute, but detailed terms of the settlement have not been released12. Several other cases are pending. As the former counsel to Ukraine in 9 investor-state cases13, the author notes that many Ukrainian cases were not “black and white”, in some of them the chances of the parties were close to 50-50. In the author’s view, in the above 9 cases much depended on the individual assessment of the facts and legal arguments of the parties by each trio of arbitrators. It cannot be excluded that some cases could have had different outcomes if the tribunals had been composed of other members. It seems that only one of the above cases, Inmaris v. Ukraine, was hopeless for the respondent state from the very beginning. However, in terms of financial outcome the Inmaris award may be described as a “hidden success” for Ukraine with a maximum possible result in the circumstances of the case including the settlement efforts (EUR 3.2 million awarded out of the claim in excess of EUR 13 million). The other example is the Tatneft case. On the one hand, the awarded amount of USD 112 million, the biggest in Ukrainian history, may seem as a serious loss. On the other hand, without prejudice to the legal positions of the parties, the awarded amount was less than 5% of the original USD 2.4 billion claim, and the claimant was awarded exactly and solely the purchase price paid for the shareholding in the dispute14. Also, a few short remarks on current Ukrainian policy on investor-state disputes. First, it has been getting less transparent over the last few years. The first awards and major decisions of tribunals in the 2000-2010 decade were all released given the public interest in these cases15. After that, from 2011 the awards in GEA and Bosh cases, which were successful for Ukraine, were rather quickly published, while the awards and decisions in some cases that were failures for Ukraine have been kept confidential (e.g. the annulment decision in the second Lemire case (a full text), the Remington award, the Inmaris (a full text) award and the JKX award). Ultimately, only some of the arbitral decisions of this period were opened to the public: excerpts of the 2012 Inmaris award and excerpts of the 2013 Lemire annulment decision according to the ICSID publication rules, the 2014 Tatneft award at the initiative of the claimant. It is not difficult to understand the reasons for Ukrainian officials deciding not to publish the awards and decisions which found Ukraine responsible for non-compliance with its treaty obligations. However, the respondent state should be interested in educating its officials dealing with foreign investors on how to prevent mistakes and omissions revealed in such cases. Publication of unfavourable awards is the first and easiest step in preventing further breaches of obligations of international law with regard to investors by the state and its officials. Modern arbitration conferences and seminars focus in the main on educating lawyers. It is advisable to have more seminars educating government officials dealing with investors. The prevention of a dispute and an early settlement strongly depend on the conduct of government officials. In Ukraine the relevant education should include, among others, information on adverse consequences for those officials involved in breaches of law revealed in investment arbitral awards. From 2014 Ukraine has changed its counsel-selection policy by retaining only international law firms as leading counsel. 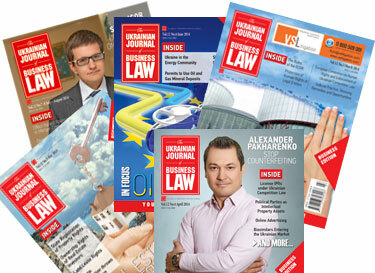 Ukrainian law firms act as co-counsel. No doubt, this approach might seem to someone less risky than dealing with Ukrainian counsel. Some commentators expressly note that this is reasonable due to the complexity of investment arbitrations. The author finds it difficult to fully agree with this view. On the one hand, it is true that investor-state arbitrations are generally rather complex. And Ukrainian cases seem to be getting more and more complex for the defence16. On the other hand, it is hardly correct to say that Ukrainian law firms are not capable of doing this kind of legal work. 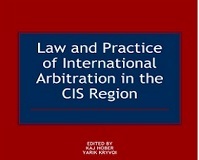 The author considers that a new generation of Ukrainian arbitration specialists that has emerged over the last decade looks rather strong in being able to cope with most investor-state disputes, as they do with complex commercial arbitrations and litigations. United teams of Ukrainian lawyers from several law firms could be formed for particular cases requiring substantial professional resources. 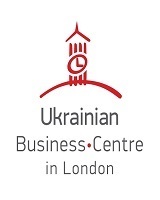 With all due respect to international law firms, the author believes that carefully selected Ukrainian lawyers from the leading domestic firms would be capable of demonstrating effectiveness in defending the state of Ukraine at least by comparison to the results of international law firms, but with legal fees that are many times lower. 1 In Generation Ukraine, Tokios Tokelės and Amto cases. 2 The first Lemire case and Western NIS Enterprise Fund case. 3 In Global Trading, GEA and Bosh cases. 4 In 2012 it was reported that the settlement agreements were reached in Laskaridis v. Ukraine, UNCITRAL case and in Vanco v. Ukraine, SCC case. The terms of settlement in both cases remain confidential (see e.g. Olena Perepelynska. Sayenko Kharenko law firm. 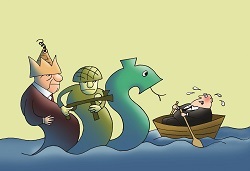 Arbitrations Against Ukraine in 2012 — http://www.sk.ua/publications/arbitrations-against-ukraine-overview-of-2012). 5 Second Lemire case, Alpha Projektholding, Remington, Inmaris and Tatneft. In each of these cases Ukraine was found liable for breaches of its international law obligations, but the amounts claimed were considerably reduced. 9 See the Judgment of the Paris Court of Appeal of 29 November 2016: https://www.italaw.com/sites/default/files/case-documents/italaw7882.pdf. 10 See the Decision of the Court of 27 June 2017 — https://www.italaw.com/sites/default/files/case-documents/italaw9185.pdf. 12 See e.g. Luke Eric Peterson and Zoe Williams. Pharma Corp Withdraws Investment Arbitration After Government Agrees to Settlement of Dispute over Monopoly rights to Market Anti-Viral Drug. — In: Investment Arbitration Reporter, March 16, 2017. 13 The author acted as counsel for Ukraine in 6 ICSID cases (first Lemire case, Generation Ukraine, Western NIS Enterprise Fund, Tokios Tokelės, Alpha Projektholding, Inmaris) and 3 non-ICSID cases (Amto, Remington, Tatneft). 14 See Tatneft v. Ukraine, UNCITRAL case, Award on the Merits, 29 July 2014, paras. 615, 642. 15 The only exception is the settlement documents in Western NIS Enterprise Fund case which remained confidential. 16 From the author’s personal experience, only the Tatneft case by its exclusive complexity and high stakes required to combine the resources of an international law firm as a leading counsel and a Ukrainian law firm as a co-counsel.